I don’t know about you, but I love the smell of lemons! It smells so fresh and reminds me of a clean house. 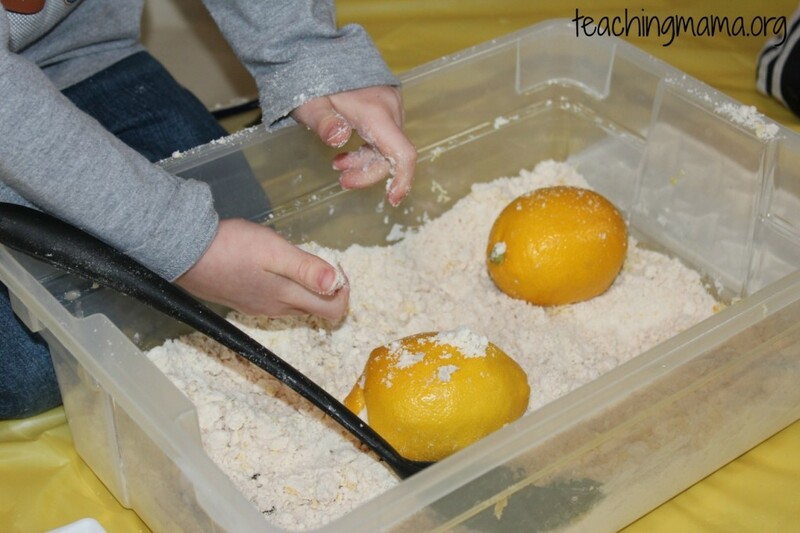 Since I love the smell of lemons, I wanted to see if I could add it to our favorite sensory activity! I’m happy to report that it turned out amazing!! 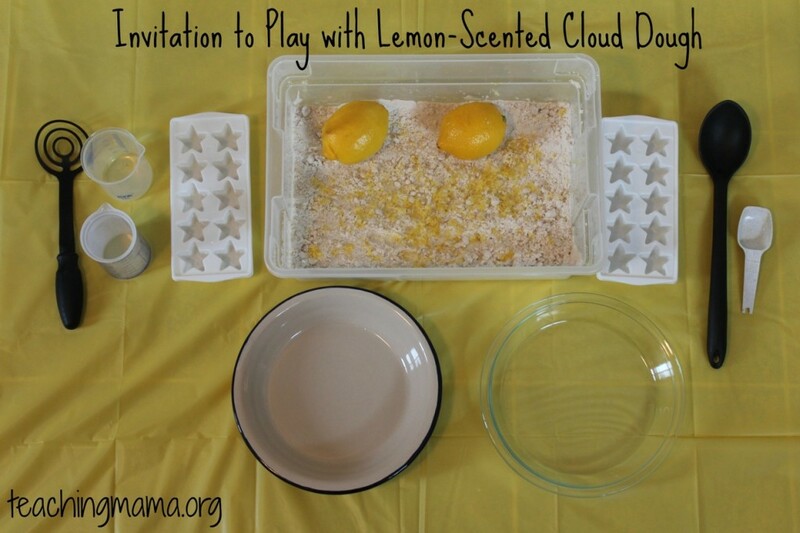 Today, I am excited to share the lemon-scented cloud dough recipe with you! Pour the 8 cups of flour into a bowl or bin. 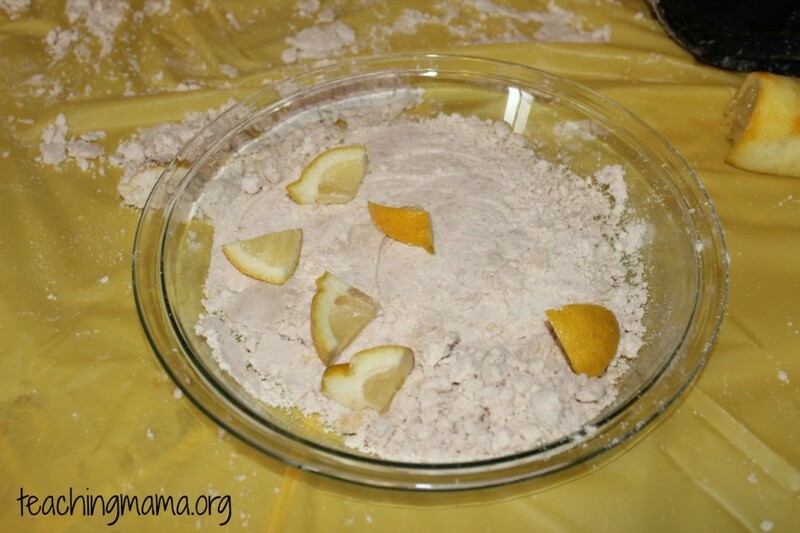 Then pour 3-4 Tablespoons of lemon juice into the flour and mix with a whisk. Next, add in 1 cup of vegetable oil and either mix with a spoon or your hands. 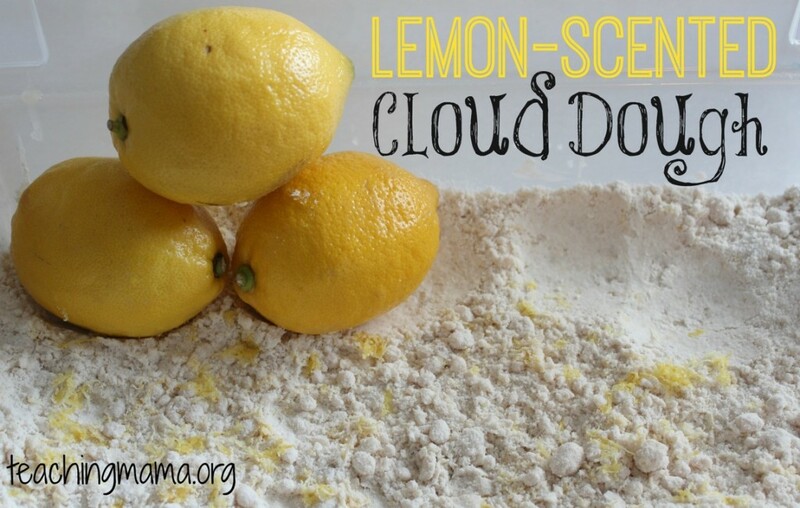 Lastly, zest the lemon and sprinkle the pieces into the cloud dough. Now take a second and take in the awesome smell of lemon! If you think it needs more lemon scent, then squeeze in some more juice from the lemon. I set up an invitation to play for the kids. 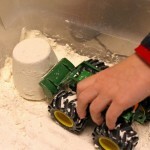 An invitation to play is simply setting out materials and letting the kids explore without instructions. 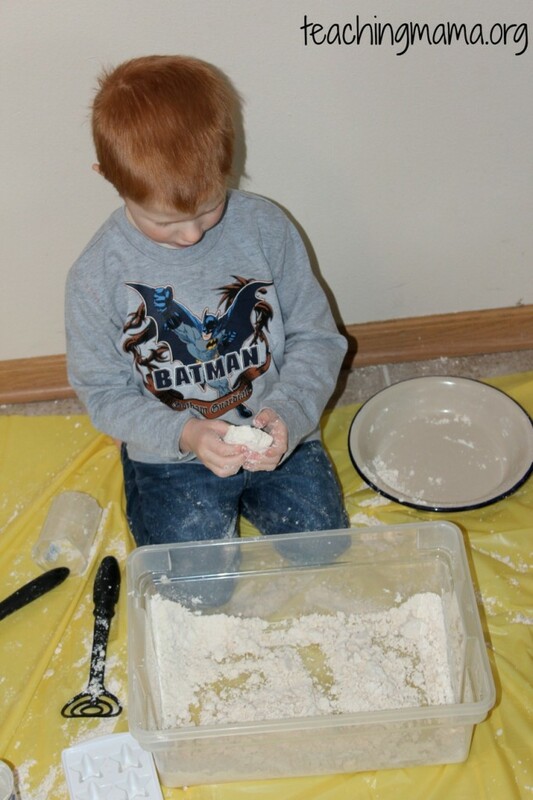 It allows kids to use their imagination to create whatever they want. 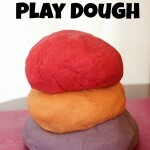 The fun part about cloud dough is that you can mold it. 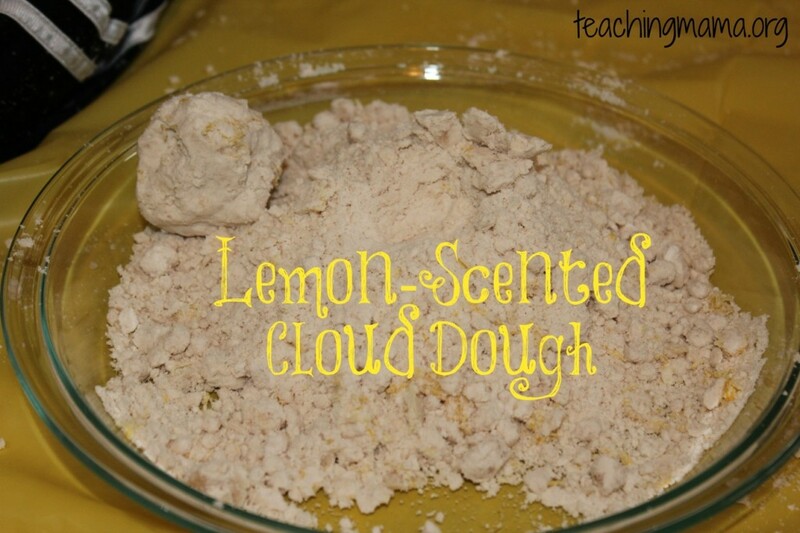 We like to make cloud dough balls. We also explored the taste of lemons! Both boys tried a little piece of lemon. They were not fans, but they really wanted to try it out! 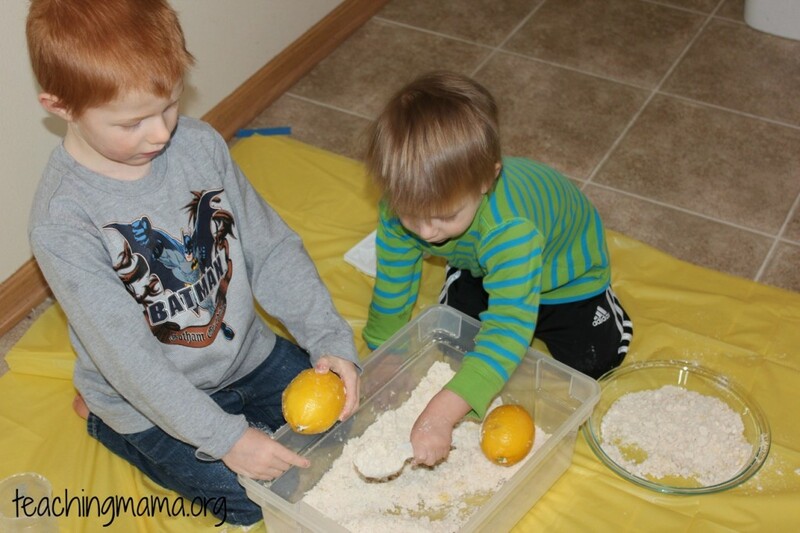 I also gave lemon pieces to the boys to squeeze into the dough and play with. We made a yummy lemon pie! 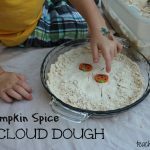 This cloud dough was so much fun and smelled wonderful!! My boys played with this for over an hour. They used so much creativity when they were playing that was hard to capture in photos! 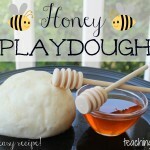 One tip I’d like to share is to put a tablecloth under the area where you play with cloud dough. 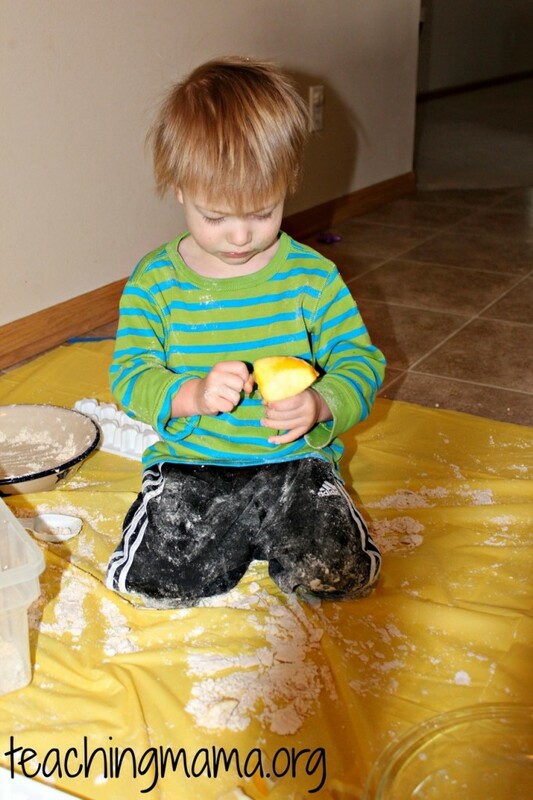 You may have noticed my boys got quite messy while playing! This makes cleaning up so much easier. 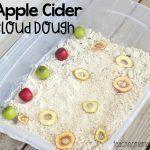 I just gather the tablecloth and pour the cloud dough back into the bin to use for next time. Simple! Thanks for the recipe! I made it this morning. 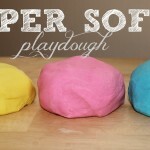 At first I had plans to try the super soft playdough but went with this since it popped up. My three kids (2,3,4) played for about 45 minutes with it. We loved the lemon smell.